Gretel and the Dark is Eliza Granville's dazzling novel of darkness, evil - and hope. Vienna, 1899. Josef Breuer - celebrated psychoanalyst - is about to encounter his strangest case yet. Found by the lunatic asylum, thin, head shaved, she claims to have no name, no feelings - to be, in fact, not even human. Intrigued, Breuer determines to fathom the roots of her disturbance. Years later, in Germany, we meet Krysta. Krysta's Papa is busy working in the infirmary with the 'animal people', so little Krysta plays alone, lost in the stories of Hansel and Gretel, the Pied Piper, and more. And when everything changes and the real world around her becomes as frightening as any fairy tale, Krysta finds that her imagination holds powers beyond what she could have ever guessed...Eliza Granville was born in Worcestershire and currently lives in Bath. She has had a life-long fascination with the enduring quality of fairytales and their symbolism, and the idea for Gretel and the Dark was sparked when she became interested in the emphasis placed on these stories during the Third Reich. Eliza Granville was born in Worcestershire and currently lives in Bath. 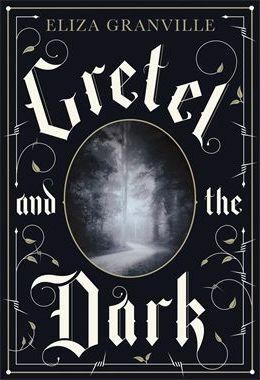 She has had a life-long fascination with the enduring quality of fairytales and their symbolism, and the idea for Gretel and the Dark was sparked when she became interested in the emphasis placed on these stories during the Third Reich.